This course provides a broad exposure to Cisco Data Center technologies so that entry-level data center personnel will gain the skills required to be successful. 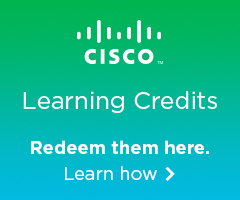 EXCLUSIVE TO GLOBAL KNOWLEDGE - Accelerate your Cisco learning experience with complimentary access to the IT Skills Video On-Demand Library, Boson practice exams, Introduction to Cybersecurity digital learning course, course recordings, IT Resource Library, and digital courseware. 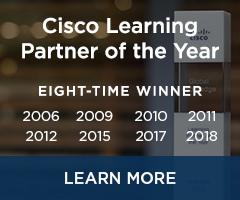 The DCICN - Introducing Cisco Data Center Networking v6.2 course, prepares IT professionals for the Cisco CCNA Data Center certification and for associate-level data center roles. This course covers foundational knowledge, skills, and technologies, including data center networking concepts, data center storage networking, and data center physical infrastructure.